Raiders Head Coach Jack Del Rio says Derek Carr has a fracture in his back. "It could be as short as two weeks - it could be longer," said Del Rio. 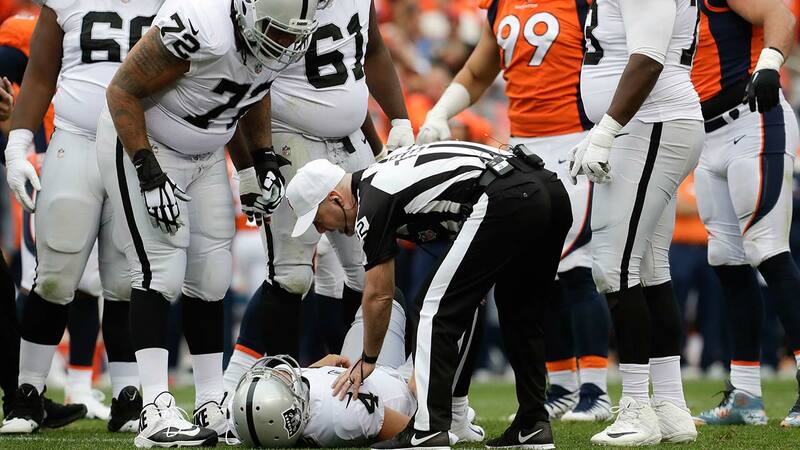 Carr is expected to be out for at least two to six weeks.